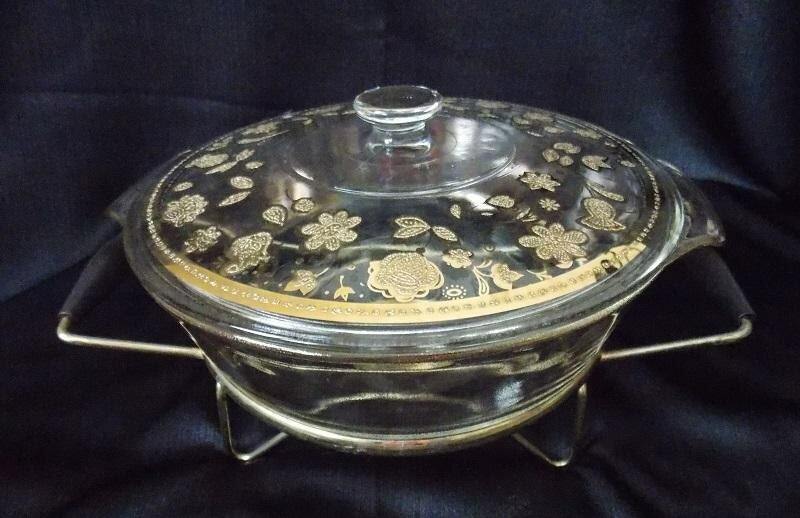 This mid-century two quart size casserole dish is perfect for holiday cooking or a gift. 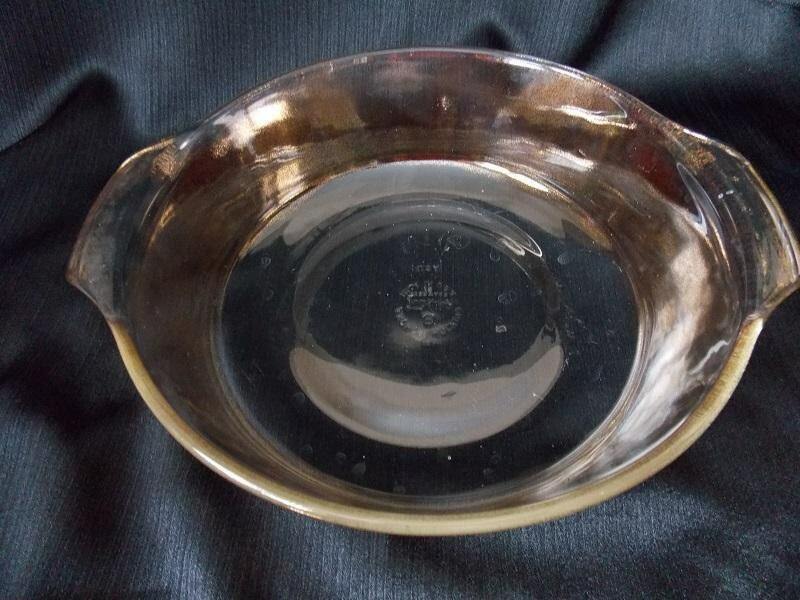 It was designed by Culver for Fire King/ Anchor Hocking during the 1960s. 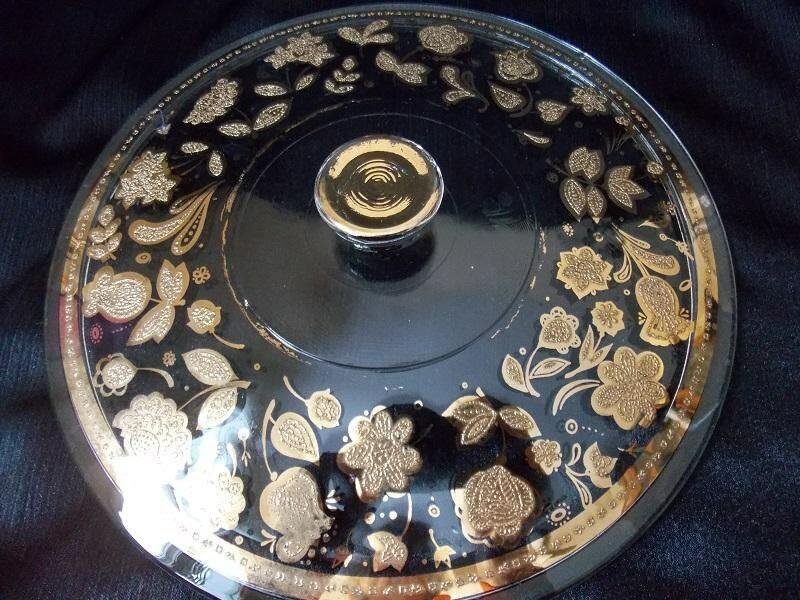 The lid is in the Chantilly pattern which features a 22 k gold floral circling around the lid. The lid has a round center handle made of glass. 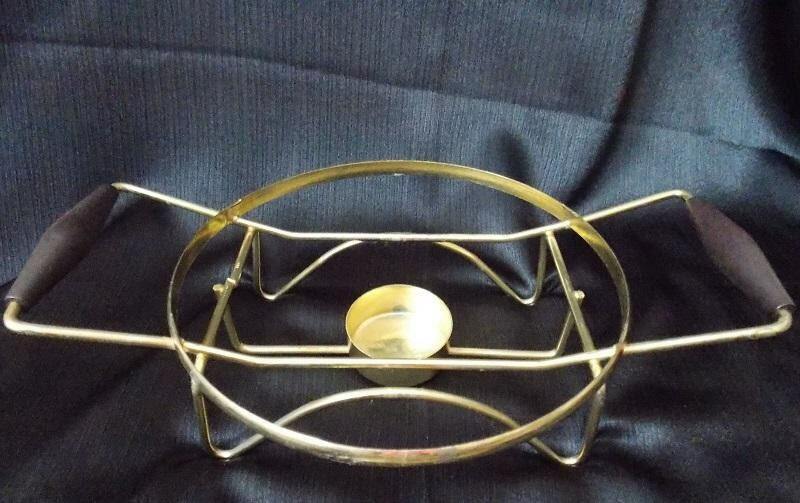 The base of the casserole dish has an overall splattered gold design. This gold splatter design is also on the handles of the dish. 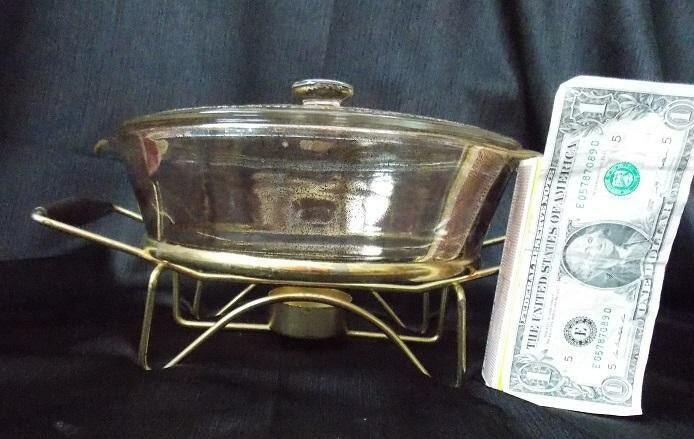 The lid is signed "Culver LTD" and the bottom of the casserole dish is marked " Anchor Hocking / Fire King / Ovenware / Made in the U.S.A." The casserole dish sits in a round metal holder/warmer. On the bottom of the holder is a place for a tealight candle to keep warm the casserole dish warm. It has two wooden handles on either side. * Condition: nice vintage condition consistent with age and wear. There are no chips or cracks, however there are signs of paint wear on the handle and inner ring of the lid from normal wear. There is no wear to the gold flowers on the lid.